ACHIEVEMENTS: A total of 1,000 smallholder fish farmers will gain access to high-quality inputs, including fingerlings. Chi Farms will purchase commodities from 2,700 soybean farmers and 3,600 maize farmers. PURPOSE: Increase Nigeria’s domestic fish production to meet growing demand. APPROACH: Chi Farms is expanding its capacity during the program partnership to produce high-quality inputs for smallholder fish farmers. 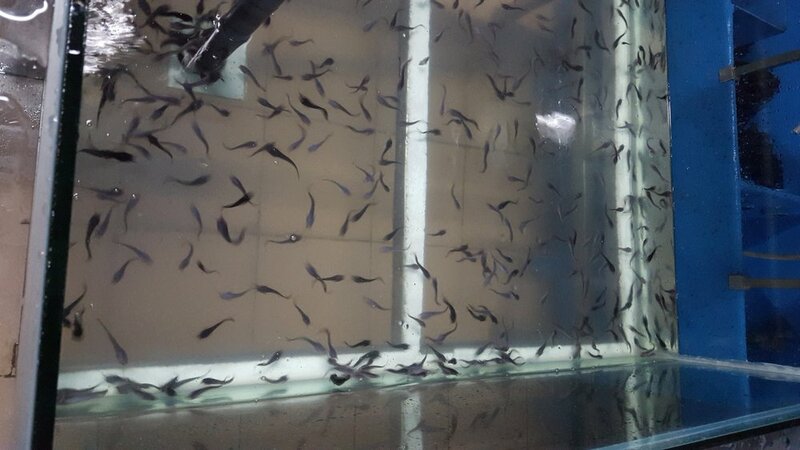 Smallholder farmers will have access to high-quality juvenile catfish from Chi Farms’ multiple hatcheries, as well as aquaculture management training and financial tools to provide the knowledge necessary to build successful aquaculture businesses. Chi Farms is also expanding its feed production to include high-quality aqua feed, which will benefit not only fish farmers but also soybean and maize farmers supplying raw material for the feed.